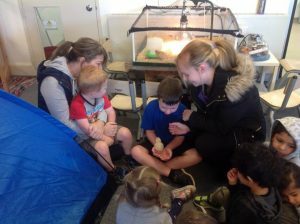 In early April, KingKids Berwick has been lucky enough to experience the Henny Penny Hatching Program. During this program, we have two rooms house the incubator (which is for the unhatched eggs) & the pen (which is where the baby chicks go once they have hatched from their eggs). Henny Penny brought along 3 chicks & 12 fertile eggs. These eggs hatched over the first week of the program. The aim of the Henny Penny Hatching program is to allow the children to have an educational experience while being able to watch the eggs hatch & chicks emerge from the eggs. 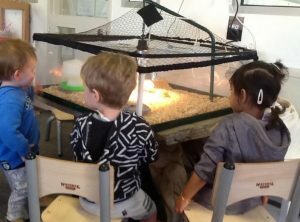 By children observing this program, it opens up the chance to have many open-ended discussions about the process. Our educators are then able to extend on this amazing viewing experience & add this to our curriculum & program. Some rooms have been able to extend this into conversations about the chicken’s coop that we have located in the pre-kindergarten yard while others have chosen this as a way to introduce Easter to the children. The learning experiences are endless! Thank you Henny Penny Hatching for the amazing program, we have enjoyed it very much!